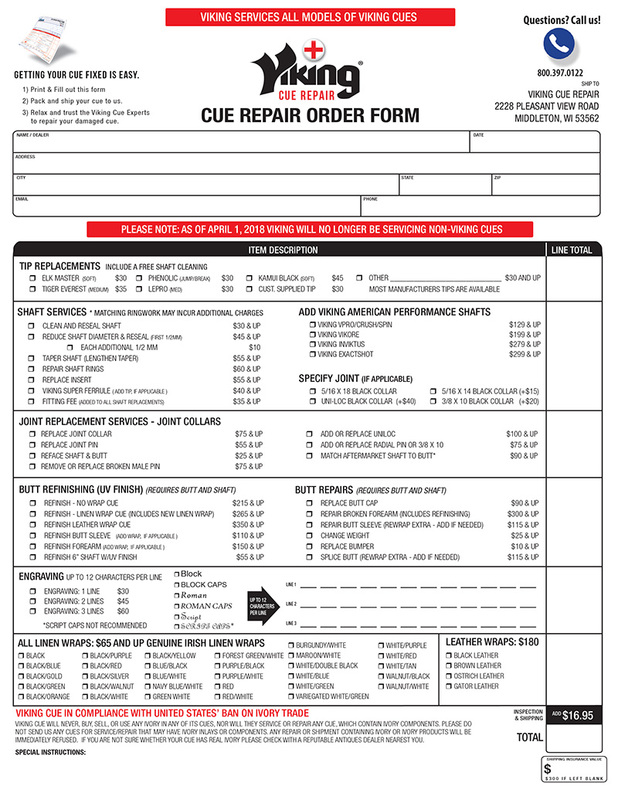 Click here then print and fill out our repair order form. Pack and ship your cue to us. Sit back, relax and let the experts repair your cue!